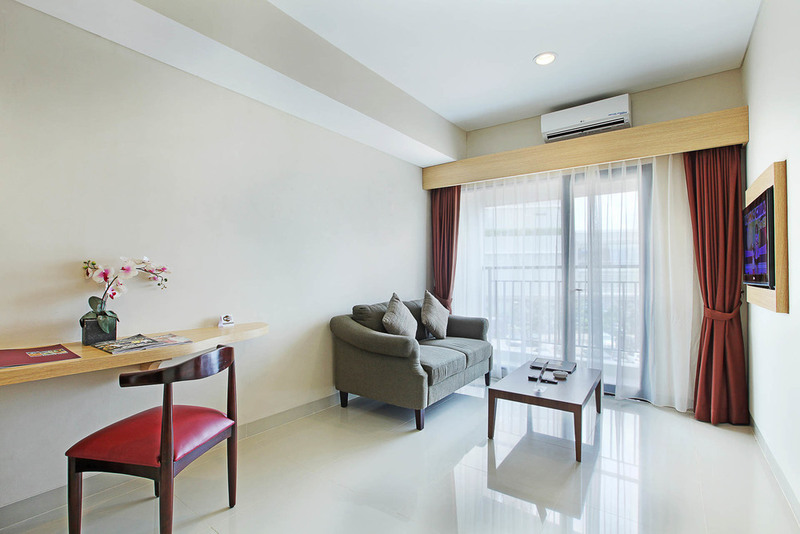 Atria Hotel & Residences is a serviced apartment and accommodation located in Gading Serpong. Targeting on variable guests, we need a functional layout that has a versatile character. Limited space will always be a challenge, but it is an opportunity for unique design solutions. We exercised simple room decoration to allow more natural lights to shine through. The simple furnishing conveys clean lines and light build as displayed in the minimal adornment of the wardrobe and the leggy chairs and sofas. Fresh and bright basic colors help give a clean and expansive impression. On that account, we implemented a unified color palette of neutral and earthy shades. This helps create a continuous flow from one area to the next, giving the impression of width.